I had a fantastic time!. During the booking process, ALL my questions were answered promptly by Ruth. 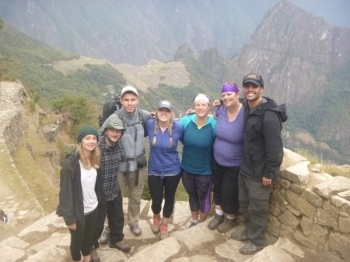 This trip was the second part of our 6 week trip in Peru and Ecuador. It was fabulous and so varied. 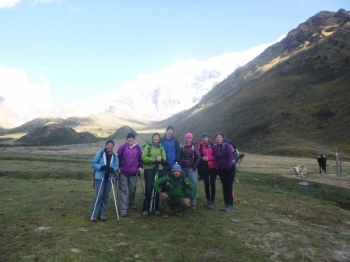 The four day trip included climbing to a glacier and gorgeous lake of greens and blues, hiking through forests and jungles, visiting villages and ancient ruins and spending a couple of hours relaxing in hot springs. We had a fantastic trip !! 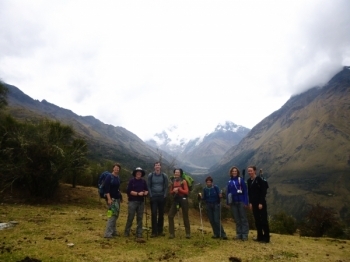 Inca Trail Reservations gave us clear instructions before we arrived in Peru. They were quick to respond to any questions. The hotels we stayed in were clean and welcoming. 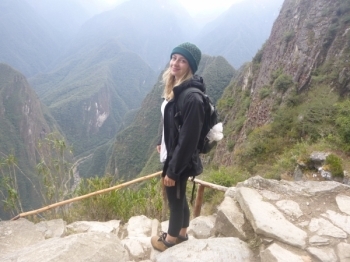 Before starting our trek we took two informative tours of Cusco City and the scared valley. 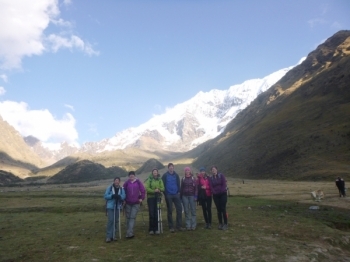 Everyday on the Salkantay Trek was an experience! 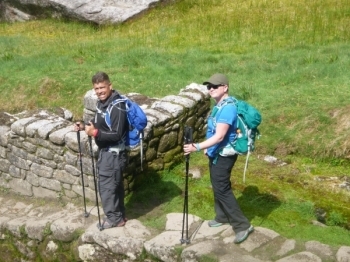 The tents were set in wonderful locations, we saw wonderful vistas and challenged ourselves. 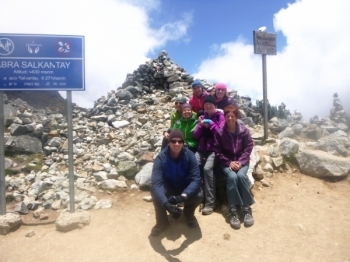 Just finished the trek and could not be happier with the experience. From the beginning, everything was well organized and coordinated. 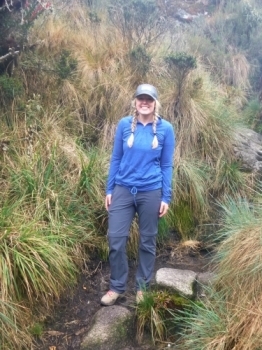 The day hikes were well paced for those of various fitness levels and the diversity of the terrain covered was impressive. The meals at the camp sites were relatively basic, but plentiful and tasty. 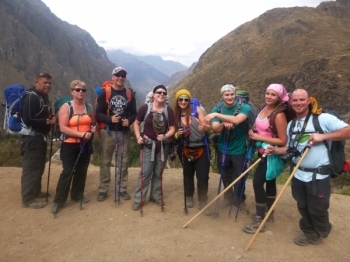 I had an awesome trip on The inca Trail With inca trail reservations. I had fun. It was a good time. Every thing was very good. Choose the adventure, let them handle the rest! If you think this adventure is going to be easy, I hope you're really fit. 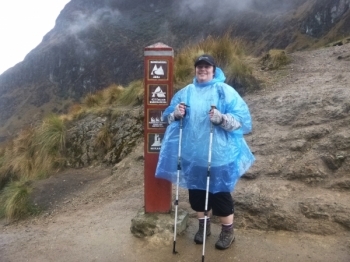 Luckily the awesome porters, guides, and pre-done set up makes the hike a million times better. was great and you could go at your own pace . Como se llama are you a llama? I can't believe I'm about to say this, but I would do it all again! 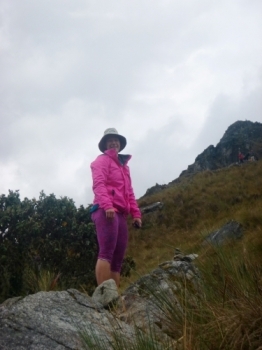 The Trek was far more amazing than I ever imagined it could be! The scenery was breathtaking, and our guide Edwin was incredible. Amazing trip! 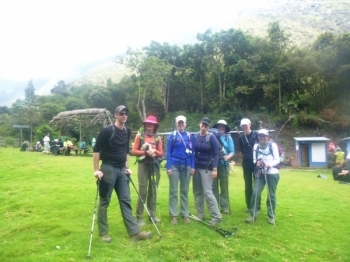 We had so much fun and the trek was perfect! The food was so much better than we expected and was great every night. 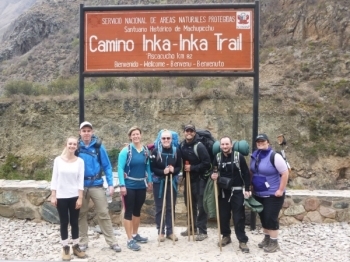 The inka trail hike is best described as a grueling adventure that will leave you exhausted from its intensity, and speechless from its views. A donkey named Pringles…and so much more. It was four days of excruciating awesomeness! Fresh off the trail today and I can say this is one of the best things I have ever done. 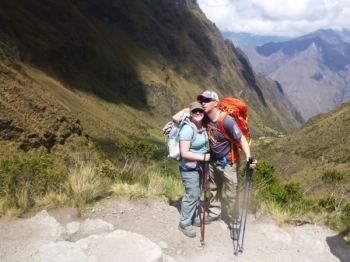 To begin to understand the Inca way of life, i guess that is a characteristic of this trail. 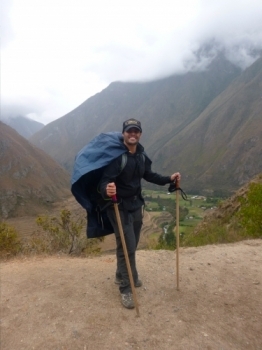 A hard trail, a defying trail, physically and mentally.But also a pleasant one, when you see those spectacular mountains, landscapes, inca remains, the pain and the exaustion are temporally forgotten.